Going on a career break to work, rest or study abroad can be an exhilarating experience and a once-in-a lifetime opportunity to recharge your batteries. But don't underestimate the number of bureaucratic and legal hurdles you may have to overcome before you finally arrive at your chosen destination, the least of which is obtaining a visa and/or work permit for many foreign countries. The first step for any careerbreaker is to decide where to go and what to do. If your career break involves country-hopping or working for an extended period of time in a foreign locale, whether on a paid or voluntary basis, check to see what visa - if any - you will need. Visas and permission to work abroad fall largely in the following categories: entry visas, student visas, work permits, working holiday visas, au pair visas, and visas for voluntary or charity work. Some visas can be purchased upon arrival, while countless others need to be bought well in advance. Check with the embassy or consulate of the country where you plan to travel, and leave enough time for the visa to arrive, which can take up to several months. Working abroad under the auspices of a career break programme can be the easiest way to get the right visa as you'll do it with their help. Voluntary Service Overseas, for example, has a skilled professional two-year programme that comes complete with benefits and local salaries. UK citizens are allowed to work anywhere in the European Union, though you may have to apply for a Resident's Permit after a specific time period. Commonwealth citizens are given preferential visa status to work in Canada, Australia and New Zealand. People aged between 18 -31 can also get special working visas for the latter two countries, while Canada has a similar programme for people under 35 years of age. If the USA takes your fancy, take action now. While it's more difficult to obtain a visa - specifically a working visa - it's certainly not impossible. Citizens of 27 countries, including the UK, can visit America for up to 90 days without a visa, but if you plan to work or study there you'll need one. The H2B lets foreigners take on seasonal work, usually in tourism or agricultural areas - great if you plan to teach skiing or work on a farm. Likewise, if you set up work beforehand your employer may be able to obtain a visa for you, while some career break companies can help get one as well. Traineeships and internships, paid and non-paid, also provide opportunities if you can find a US sponsor. Study visas (the J-1 and F1) also exist for students choosing to expand their academic careers by participating in an international study career break. Wherever you go and whatever you do, don't forget to photocopy both your passport and visa(s), and to take one copy with you and leave another back home with a reliable friend (MyOnlineSafe is a great way to upload your documents on-line and have them there should you need them). 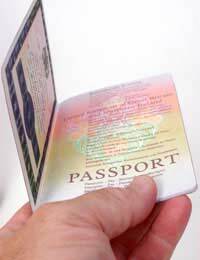 Passports should be valid for the duration of your stay - some countries require them to be valid for an additional six months. Foreign Embassies based in the UK can be of assistance to make sure you get it right. Check with the Foreign and Commonwealth Office for a complete list. Getting the right visa and/or permission to work abroad is a crucial part of participating in a career break programme in another country, and is a completely different ballgame than getting one for a two-week holiday in the sun. If you leave yourself enough time, you'll help to ensure your career break runs as smoothly as possible. Quiz: Are You Ready for a Career Break?